Relocating or migrating a data center can be a career defining moment. There is a strict timeframe, with complicated logistics and no margin for error. American Eagle Systems has more than three decades of experience in data center relocation, along with consolidations, inventories, and asset tracking software. From pre-plan meetings to putting away the final servce in the new facility; AES manages and performs the entire process. We Do Office & Trading Floor Relocations Too! Audit/Inventory the asset shipment prior to (and/or) after the move, using our team of experts and our proprietary barcode software and scanning devices. Manage the full migration of applications and data to make sure you new or consolidated facility has no down time. Systematically pull assets from their current location and pack into containers while retaining the ability to locate any asset at any time in any container. 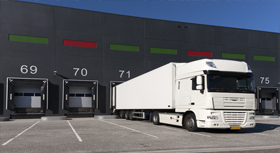 Coordinate and manage all transportation of the assets to your new location. From climate controlled vans and tractor trailers to Lear Jets, AES will help you make the right transportation decisions and flawlessly execute the move. Re-install all moved assets into racking in the new data center. Detailed and signed tape reports to authenticate the accountability of the assets will be provided. Regardless of the size of the data center or the distance of the relocation, a facility move is much too critical of an operation to leave to a company with little or no experience. Having successfully performed many moves requiring a wide range of skills, and resources, AES has the experience and expertise to provide your organization with a highly professional relocation from start to finish.